Considering a family vacation to Melbourne this holiday break? Why not hit the road, create some memories and save money at the same time by hiring a fully equipped campervan for your trip. Melbourne, one of the most popular and populous cities of Australia attracts the berth of Australia’s tourism every year. People all over the world visit Melbourne in order to enjoy it’s artisan culture and cosmopolitan shopping. There’s so much to see and do in Melbourne, from the old city jail where Ned Kelly was hung to the old gold mines and site of Australias Eureka revolution just outside Melbourne’s borders, a campervan is the best way to get around and explore the sites, while getting the most out of your vacation. There are so many places to stop, take a deep breat, grab something to eat and shop from that you’d be crazy not to go for a form of accommodation that will let you travel at your own pace and in your own time, and a campervan is exactly that. There are many pitfalls that traveling in a camper can help you avoid too. Missing busses, finding accommodation, paying taxis to get everywhere. These are all un-needed stresses that hiring a campervan can circumvent. Plus, if you’re willing to spend a little extra you can even find a vehicle stocked full of amenities which will make traveling more fun for the whole family. Why not veg out after a long days exploring in front of your camper’s inbuilt TV, eat a meal cooked on the in-camper stove and grab a sweet desert from the inbuit fridge. Forget meals, hotel rooms and trying to fit an esky in your boot. 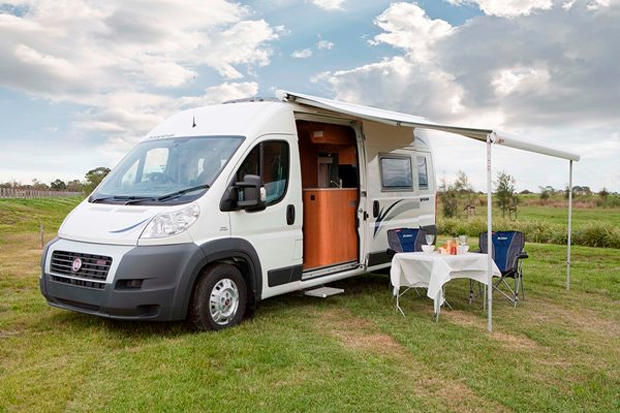 With a camper, you really can experience the best of Melbourne! Previous Previous post: Thinking About Hiring a Minibus? Here’s What You Need to Know. Next Next post: Looking To Hire a Campervan in Brisbane? Read this first.